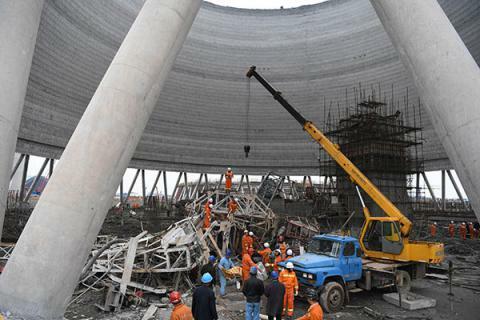 Chinese authorities said 13 people were arrested over a scaffolding collapse at a power plant that killed 74 people, USA Today. The accident happened at the Fengcheng plant in Jiangxi province on Thursday. Most of the dead were building the interior concrete wall of a cooling tower, the Associated Press reported. This is not the first time the engineering company has had workplace fatalities. The investigation on Hebei Yineng firm has been underway. Earlier, China plant accident occurred in China's Jiangxi province.